A Council for Florida Inventors! Today we would like to introduce you to another source of help. If you have an invention and you would like to gain knowledge about the experience of other inventors, associations are usually a good way to start. They can provide assistance and real live experience on the basis of non-profit organizational structures. These are always good for inventors who do not want to spend money on services provided by companies. The Inventor’s Council of Central Florida is an organization to encourage creative people and give educational advice. It has been formed in the 1950’s and is continuously running since 1974 by entrepreneurs, teachers, engineers, moms and many others but most importantly inventors wishing to help other inventors. At their monthly meetings in Orlando, Florida, the council is aiming to create a comfortable, informal atmosphere where information, skills and ideas are exchanged. All under a non-disclosure agreement, of course. The council invites guest speakers, such as patent attorneys and successful entrepreneurs but also venture capital group representatives. They also organize workshops for their members on a regular basis and provide judges in various national and international invention award competitions. So if you have an invention and you are looking for real life experience and help, this might be a good start. The National Museum of Education in Partnership for America’s Future is a non-profit educational organization which has been offering programs to teachers and students for many years. 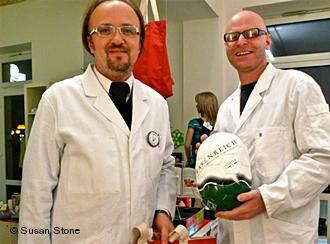 The main goal is to help young inventors and their mentors to turn their ideas into success. 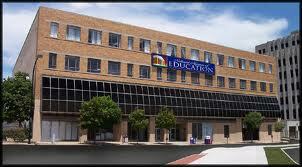 Established in 1990 in Akron, Ohio, they have been able to come to some great achievements. Here are a few examples: 85 students and teachers have been helped to turn their inventions into products that are now on the national market. The National Gallery for America’s Young Inventors was created, which annually honors up to six young inventors from across the country. Many national invention competitions have been developed, including Students Ideas for A Better America, which awards two student inventors each month. These awards have been featured on CNN, Channel 1, TBS, CBS and countless local TV, radio, and national publications. The Freida J. Riley Teacher Award was publicized and administered, honoring teachers who overcome adversity for the sake of their students. Guidelines for the Craftsman/NSTA tool invention competition have been written in cooperation with SEARS. Many science and language camps have been organized and held, including French Camp, Energy Camp, and Rocket Camp. Sue Lyons, on our staff, is the original writer of Camp Invention, now owned and run by the National Inventors Hall of Fame. The best known competition is SIBA, the Student Ideas for a Better America competition which runs all year. There are not due dates since the motto says “Innovation Knows No Time” and prices are given monthly. So if you or your students have a great idea for a new product or an improvement for an existing product or procedure, or even an educational concept, this might be a great opportunity to move one step further. Find more information on the website. Although the deadline has already passed for the upcoming award in 2012, it might be interesting for all inventors to learn about another opportunity to gain fame and recognition. 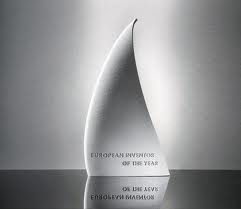 The European Inventor Award, which is one of the most prestigious awards an inventor can win, has been launched by the European Patent Office in 2006. This award gives the inventors the recognition they deserve and also pays tribute to creativity of the inventors, who use their skills in different fields to improve people’s lives. In 2012 the ceremony will take place in Copenhagen, Denmark on June 14, in cooperation with the Danish EU Council Presidency, the Danish Patent and Trademark Office as well as the European Commission. Although there are different categories in this award, it is open to the public and anyone can submit an entry. The different categories are Industry, SME’s, Research, Non-European countries and Lifetime achievement. The award is a sail shaped trophy, which was designed by a German industrial designer called Miriam Irle. The sail, which is a symbol of pioneering spirit, is made of a different innovative substance every year. Aluminium, porcelain, glass have been used among many others in the recent years. In 2011 the trophy was made of Arboform, a bio-plastic material which had won an award in the previous year. All candidates for the upcoming award had to submit their inventions by October 6, 2011. The winners will be announced in February 2012. We are all looking forward to the ceremony in Copenhagen and some great new inventions. We believe that there is a great opportunity for us to enhance and accelerate our innovation efforts by teaming up with world-class innovators from outside of our company. To facilitate that effort, we created the General Mills Worldwide Innovation Network (G-WIN) to actively seek partners who can help us deliver new levels of taste, health, and convenience in our products. See more information on our website. It’s my desire is to inspire women to become more self-reliant and confident in their own abilities. We all have “it” within ourselves to do things that we never imagined we could. All it takes is a little motivation, a little know how, and the right “tools,” for every woman to achieve a more independent lifestyle. Hopefully, we can provide a bit of all three! Black & Decker is a global manufacturer and marketer of .power tools and accessories, hardware and home improvement products, and technology based fastening systems. 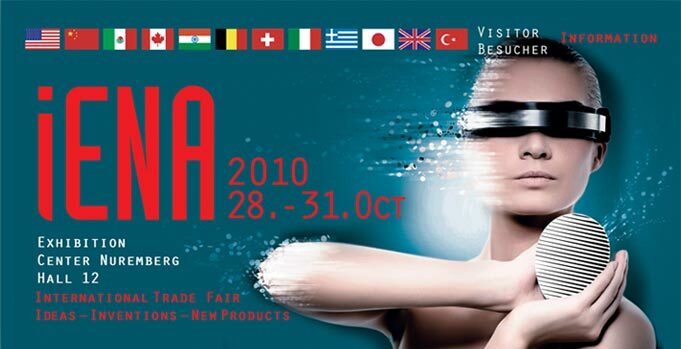 Dear inventors, have you yet updated your diary with the most important international conventions that are coming up in 2012? To stay up to date with changes or new releases, also visit the Invention Convention page of Inventorhaus, Inc. In this recent radio interview the two entrepreneurs talk to dw-world Journalist Susan Stone about their beginnings, the idea behind their first „Erfinderladen“ (Inventors Shop) in Berlin and why they founded the „Inventors Day“ and finally created Inpama.com You can read the interview here. 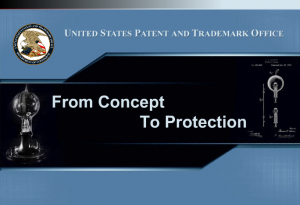 Here is a good and informative video presentation issued by the United States Patent & Trademark Office, titled „From Concept to Protection“. Hosted by John Calvert, Administrator of the Inventor Assistance Program and Tony Knight, Supervisory Patent Examiner, the 17-minute long presentation covers explains what to do when you have an idea and how to patent it. The SIIF takes place under the patronage of the Korean Intellectual Property Office (KIPO) as a platform for patent information exchange and technology transfer to help individual inventors, researchers and enterprises applying for patents and commercializing their inventions. Representatives from patent offices, technology transfer organizations and IP related institutions from all over the world will be expected. A symposium on marketing and commercialization will complete the programme. – Is organized to market your inventions and to promote information sharing. – Is a 4-day event where inventors and researchers showcase their new ideas and products to manufacturers, investors, distributors, licensing firms, and the general public. 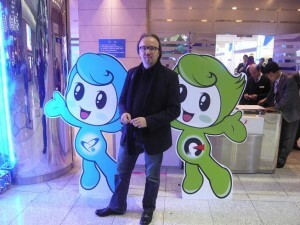 – Marketing experts, IP information suppliers, patent attorneys, and technology transfer firms will also participate in the exhibit to help participants commercialize their inventions. – Will feature a symposium on marketing and commercialization. – Stems from the Korea Patent Technology Exhibition, a national exhibition of outstanding inventions that has been held since 1982. I’m looking forward to beeing there again. See you in Seoul.